I have a very good friend. She ripped the quilting out of this quilt for me – after she told me in October that if I was going to need it ripped out to stop quilting on it. 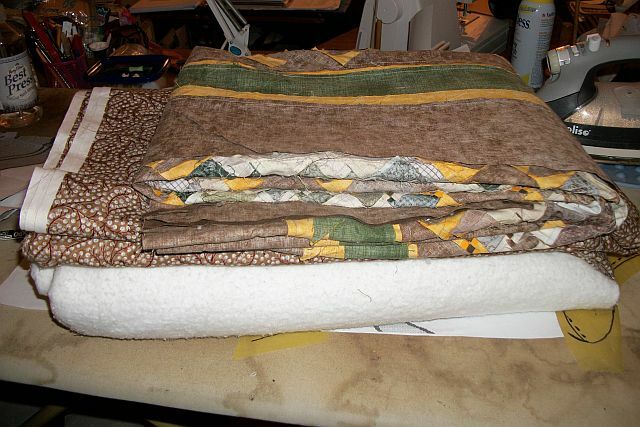 I kept going on the quilting in October because I thought it wouldn’t be too bad. I was wrong. It was. Now I’ve been told I to finish Eeyore before I work on this quilt. I’m not sure how that’s going to work. I really would like to have this one done by Sunday when the pattern is published (this is a second colorway). Eeyore doesn’t need to be done until a week from Friday and I’m spending Friday afternoon/evening and all day/evening Saturday at a quilt retreat. Maybe if I get all the pieces to Eeyore cut out this evening I can sneak this one in.